Anyone can title him or herself as a Marine Surveyor and start a business. 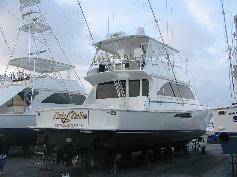 Be sure that you hire a qualified Marine Surveyor. Mike Davenport (AMS®) is permitted to use the Accredited Marine Surveyor® designation denoting membership in the Society of Accredited Marine Surveyors that require members to meet strict professional, technical and ethical standards. In addition we are a member of American Boat and Yacht Council and not only accepted, but recommended, by Boat US Marine Insurance as well as numerous other finance and insurance institutions worldwide. Why should you have the vessel surveyed? Most insurance companies and banks will require them. They will need to know her condition and fair market value in order to finance and/or underwrite the vessel. Knowing her condition and fair market value before you purchase is also important to make an informed purchase decision. However, the most important reason to survey your vessel is for the safety of the passengers and crew. 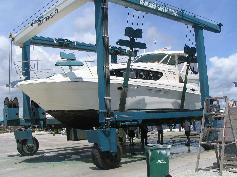 This is the most comprehensive type of inspection, and is strongly advised when purchasing a new or used vessel. 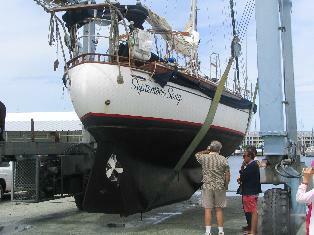 Condition and overall operation of the vessel will be examined. We provide our clients with a professionally prepared report that is photo documented logical in order, easy to read, thorough, detailed and accepted by all finance and or insurance institutions. Engine sea trial check (using non contact temperature gun and photo tach). Note this is NOT an engine survey. 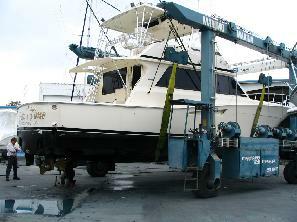 We recommend a separate engine survey by a Marine Engine Surveyor with the Engine (E) designation. Sounding of hull to determine structural integrity, with moisture meter used at suspect areas. Survey of underwater machinery and the exterior of the hulls wetted surface area. Report includes fair market value and replacement cost (USD) and "Findings and Recommendations" section. We use United States Coast Guard, National Fire Protection Association and American Boat and Yacht Council standards in our surveys. 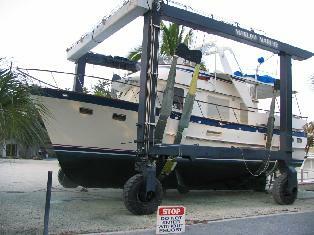 Copyright © 1994-2007 Safeguard Marine Surveying LLC, Sarasota, FL. No photographs or other original material on this web site may be reproduced without permission.